I'm always looking for cold sweet treats in the summer. Especially when it is crazy hot outside. I don't make a lot of sweets but I do love to make Popsicles because they are so easy to prepare and the flavor possibilities are endless. Of course when I saw this recipe for Coconut Cream Popsicles on the Weight Watchers website I knew I had to make them right away! They were so so good! Place all ingredients into a blender. 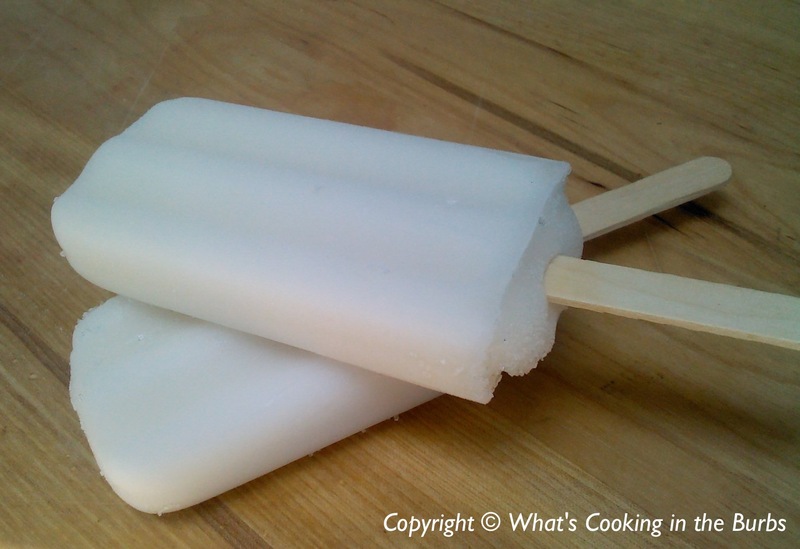 Once blended pour into popsicle molds. Freeze for at least 3 hours. Enjoy!